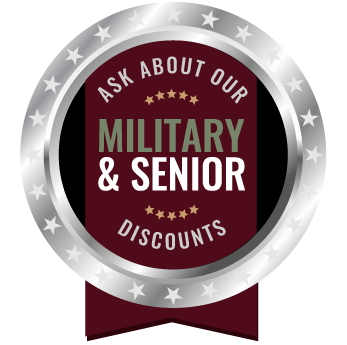 we serve the Denver Metro Area! At Complete Auto Glass, we are committed to safe, reliable and quality auto glass repair and replacements. We can save you valuable time by filing your insurance claim for you, at no additional cost. At Complete Auto Glass, we strive to have the most affordable pricing in town. We understand things can get expensive. There are many reasons why you might need auto glass repair. A stray baseball hit your window? Rare, but it happens. Were you involved in a minor crash? It happens more often than anticipated. Loose gravel and rocks on the road cause damage to your windows? Pretty common! Hail storms create cracks? Likely and very common around this area. The point is, many things can cause damage to your front, side, or rear-view windows and any damage to your car’s glass is a problem that can hinder driving and pose a danger to you and your passengers. From a minor chip to a big crack on your windshield, we are here to provide you with fast and easy service so you can get back on the road! Hail is probably one of the most common factors of auto glass damage in the area. It is one of the main factors in auto glass replacement as well. Colorado hail can range from pea-sized hail to the dimensions of a baseball. The Denver area forms part of what meteorologists call “hail alley” and can see up to nine severe hail storms a year. These incidents have a big impact on vehicle damage. In fact, hail storms are a major contributing factor to the tens of thousands of new trucks, cars, and SUVs registered in the state each year. We are auto glass experts. Whether you have damage to your rear-view windows, side, or front windshield, we can replace, fix, and get your vehicle’s glass like new again. It doesn’t have to cost you an arm and a leg either. Complete Auto Glass offers fast, affordable, and convenient assistance so that you can get back to driving and get where you need to go. 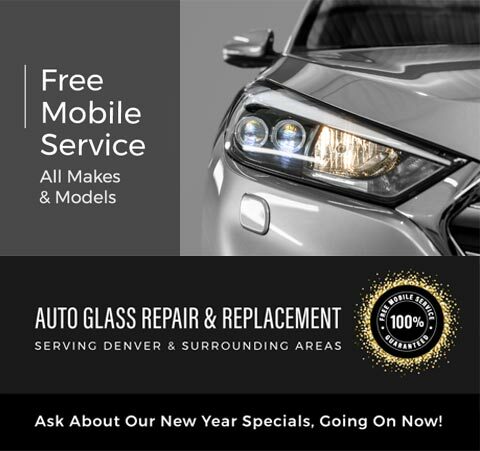 We are located in Thornton but proudly serve the entire Denver metropolitan area with auto glass replacement and repair. I’m going to keep coming here, no matter how big or small the repair is. They’re always on-point with their quality and timely service. My windshield used to be so pitted, I could barely see through it. But thanks to Complete Auto, it looks great again! Whether the job needed done is small or large, they always get it done RIGHT and FAST. Their work is fantastic. Alex was super helpful. We talked over the phone and he’s the one who gave me the quote. One of our company work vans needed a window replaced. I appreciated the fact that they were mindful to be as quick and accommodating as possible. The customer service is great and they know what they’re doing. So, yeah! They definitely deserve my recommendation. I come here for major and minor window problems. I know I can count on them because of the quality work they’ve already done for me. Rob has great customer service! He was fantastic with everything and was willing to help me find the best rate I could get… I will for sure tell people about them! I had a couple of windows broken and Complete Auto Glass’s price seemed to be the best. They did the job while I was at work, so I didn’t have to have it be done on my time. It took them about an hour and a half to 2 hours and then they were finished. Very friendly and was able to get a fantastic price for my son’s car. Even when I ordered the wrong part, they were willing to reschedule with no hassle or extra fees and returned to do the job in a couple days. All parties I spoke with were professional, caring, and very easy to work with. I will use them for all our auto glass needs! Thank you! Okay, so this is my third windshield to be installed in my 8-year-old SUV. This was the first time using Complete Auto Glass. Hassle free, gave me two choices in aftermarket glass or OEM quality type glass. Explained the differences, never had that option with the big glass companies. Set up time, dude came out, did the job in less than an hour. He was nice, explained the adhesive they used and what my warranty was on the glass. He also cleaned up and took the old glass without charging me a disposal fee. So, let’s break down why I’ll call them again. Cheaper, Options in glass, Good customer service, Tech was nice and knew his stuff, Good Warranty, No charge for cleanup and disposal of old glass! Everything with Complete Auto Glass went smoothly. They helped me replace my front windshield with great care. Their products are of high quality. The installation was quick and efficient. The process was handled very professionally and courteously. The prices are good as well and the job was finished in a timely manner. I’d definitely recommend them. There are several types of damage that will require, at some point or another, auto glass repair or replacement. Even a small crack means the integrity of your windshield glass has been compromised. It begins no bigger than a spider and slowly expands until it covers a larger area or even your entire windshield. The cracks will spread because of fluctuating temperatures, pressure, and debris that enters the crevices in the glass. All car windows are two panes of glass with a thin film in between. This means moisture can get in and become trapped, slowly expanding the damage. This leads to a bigger problem and eventually to a complete shattering of the glass panes. Rear-view windows and side windows are more likely to shatter, as they are usually a different type of glass. Is it a chip or a crack? There are different kinds of damage. You might see a small chip in the glass caused by a small object or a crack which shows up as a line across the windshield. Both of these will expand and cause more problems if not repaired right away. Similarly, a bad installation or cheap materials can leave you subject to more damage or susceptible to a shattering of the glass. There is no need to leave your car in the shop for days at a time. We know you’re busy and this can be a huge inconvenience. You need to get back on the road. We understand! That’s why we specialize in auto glass repair and replacement so that you don’t have to wait around. After an initial examination and quote, we’ll get started. You can bring your car into our convenient location or call for our mobile auto glass repair. That’s right! That means we come to you. So wherever you are within the Denver area, we will get to you and fix the problem. Our mission is to get you back on the road safely and as soon as possible. Car troubles are never fun and that’s why we strive to make the experience of glass repair as convenient and as pain-free as possible for our customers. Save even more time with our no-worry insurance claim services. Dealing with insurance companies is a fact of life, but we spare you the paperwork. Complete Auto Glass will fill out the necessary insurance claims for you so that you have one less thing to worry about. At Complete Auto Glass, we’re devoted to helping our clients with any and all auto glass issues. Whether it is a small chip, a crack, or a completely shattered windshield or rear window, we can get it squared away with honest and reliable service. Don’t put yourself or your passengers in danger — get your windshield replaced or fixed immediately. Come by our convenient location or give us a call and we will come to you! that we guarantee it, 100%.